I made an amazing dinner tonight. 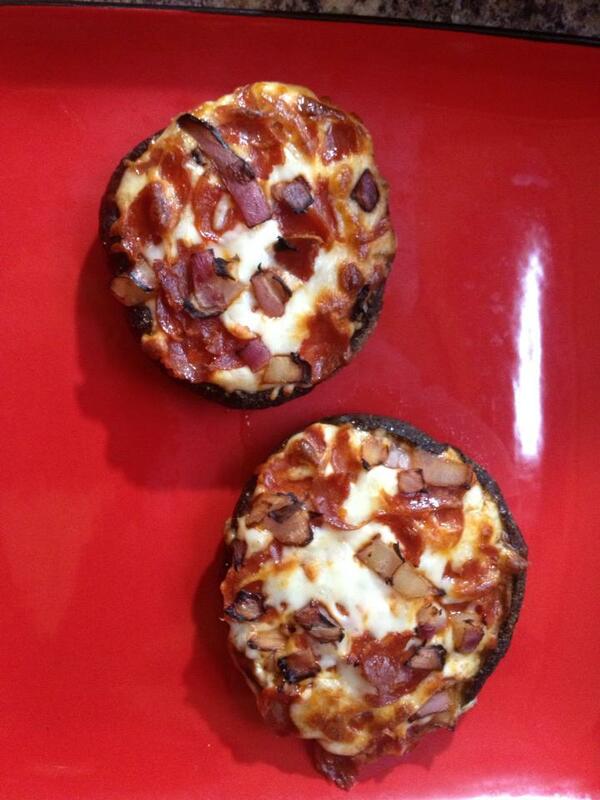 Personal portobello cap pizza! There wasn’t a recipe with the photo though, so I made one up. Use a cookie sheet with a ledge to catch drips. 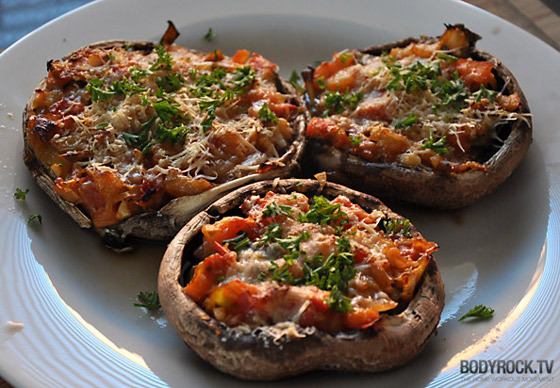 Spray both sides of the mushroom cap with the olive oil spray. Place on cookie sheet with the gill side up. Add salt, pepper, and garlic powder to taste. Add pizza sauce (I used 3 teaspoons). Add mozzarella cheese (I used 1/2 cup, but that was a little much. You could use 1/4 cup instead.) Add turkey pepperoni and red onion (or any other toppings you want). Bake for 12-15 minutes at 425 degrees. They tasted amazing!! And they are only 220 calories each, 6 Weight Watchers points. And one is all you need! I ate a salad with spinach, cilantro, tomatoes, and avocado with it. My entire dinner was 11 points and it was delicious!! What a great idea! We do something similar using turkey or chicken as a base, and have it for dinner. I don’t understand how WW points work, as I am on Slimming World. But it may save you some points if you don’t use the pizza sauce. The sauce is actually no points since I use so little. Cutting the cheese in half would help though. And half a cup was too much cheese! That chicken looks delicious though!